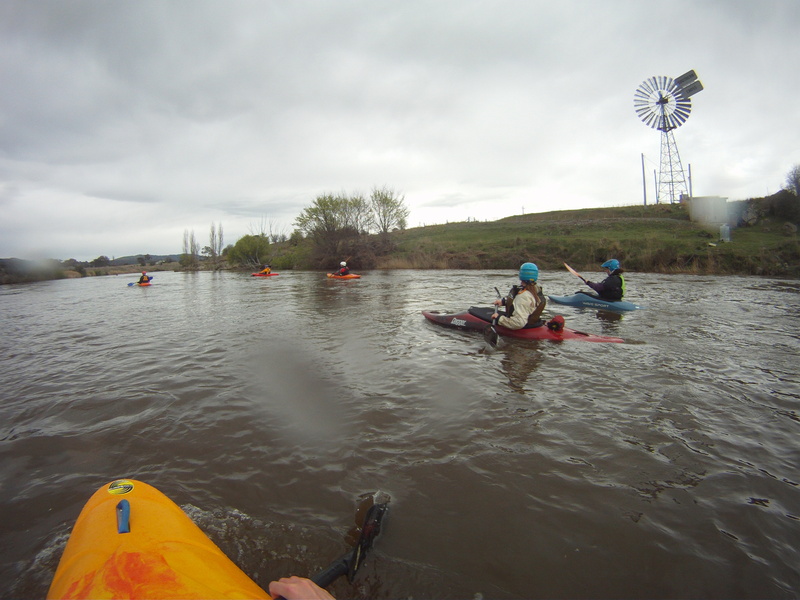 White Water Safety and the Murrumbidgee. Buoyed on top of the frothed water by my life jacket, I counterintuitively rolled myself into the white water swimming position (on one’s back, feet downstream and high in the water) and eyed off the approaching trunk stretched across the river. Seconds later I collided with it, losing some air as the strainer hit my chest. My body immediately bent around the obstacle, with my feet and lower body getting sucked under and my upper body being pushed over by the strength of the rapid. Water rushing behind me so swiftly that it was forced up my back and over my head, I managed to get my hands on the strainer as I tried to push myself up and over it. I could vaguely hear the cries of my friends on the bank, encouraging me over the roar of the water past my ears, and I pushed harder against the strainer, trying to lever myself above it. Finally, with a shout of exultation I managed to drag my body up and over, and immediately swam to my friends on the bank so that I could watch the next person’s practice with the PVC trunk. 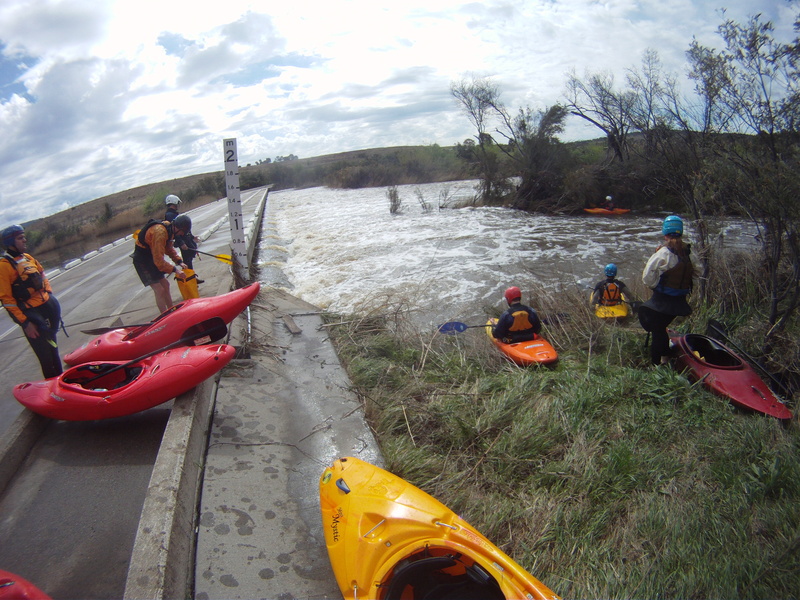 It is such experiences that make white water rescue training so important. For although I’ve spent some time rafting in Tasmania and some kayaking in Western Australia, I’d never experienced a strainer first hand. And in the real world, the PVC tube is a tree, possibly with several others underneath; out there, if you cannot pull yourself over the top, there is no safely sliding out underneath. 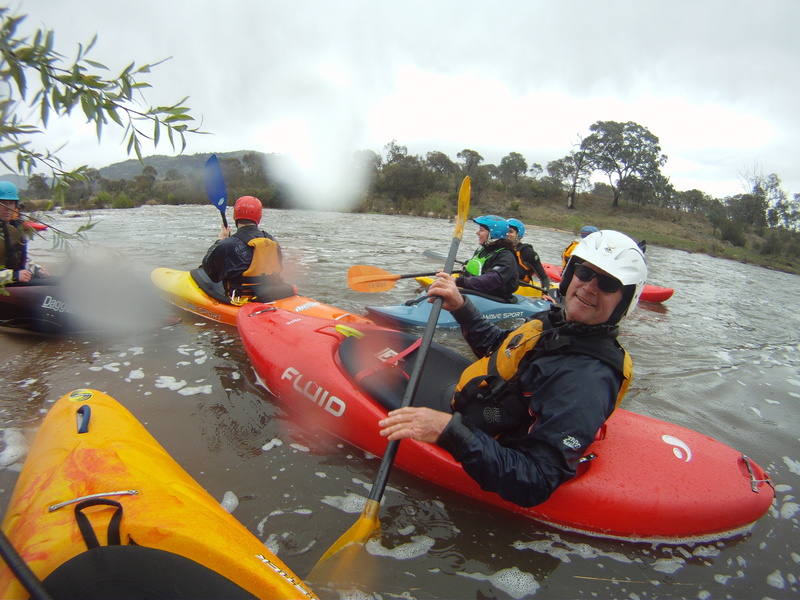 Thus, alongside other Australian National University Mountaineering Club (ANUMC) members, I attended a two day course on the Murrumbidgee River in the Australian Capital Territory. Saturday morning was spent with a white board learning river hydrology (“Strainers are bad, avoid them”; “Holes are bad, try to avoid them”; “Surfing can be fun, but big stoppers are bad, avoid them too”; “Eddies are great!”), and practicing our throw bag technique. Then, my newly acquired $15 Anaconda wetsuit zipped on (the most I’ve ever paid to date, the previous two wetsuits being $8 and $5 respectively from the Hobart tip shop), we hit the water to learn about deck carries and the infamous PVC strainer. That evening we took home some reading – incident reports from New Zealand, with descriptions of two fatal kayaking trips. The point was clear: kayaking is a dangerous sport, and even spectacularly talented kayakers can make mistakes or fall across bad luck. These reports also made recommendations as to what could have been improved, further getting across the message that kayaking is about preparation and decision making as well as paddling ability. 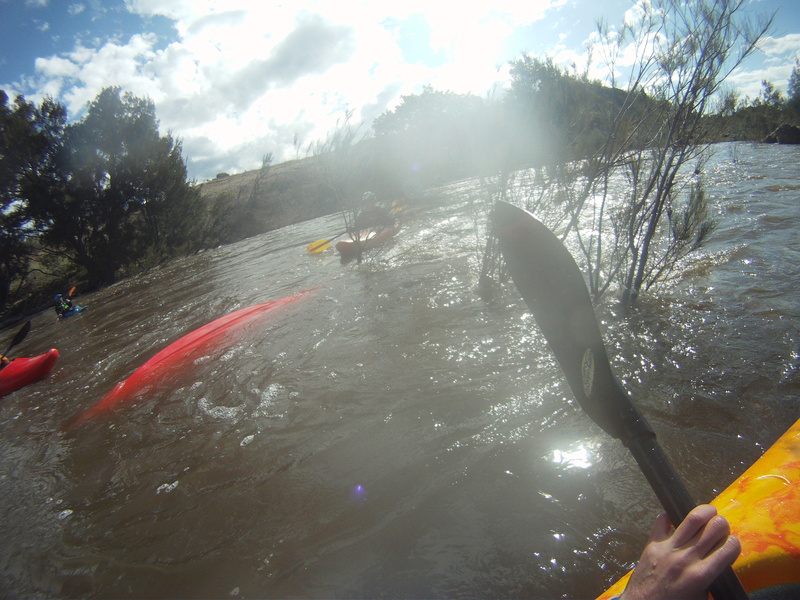 So, just to be sure that we knew what we were doing, we decided to paddle a section of the Murrumbidgee the following weekend. It was a casual section of river, with rapids graded 1 and 2 and thus suitable for our team of novices (and thus probably more dangerous, but less intimidating, than the large swell I’d contended with on my previous sea kayaking trip). There was a selection of kayaks* chosen, mostly creekers (high volume, reasonably stream-lined) and a few playboats (lower volume front and back deck and sharper edges, allowing for tricks and better surfing). I was the only one with a river running boat (lower volume than a creeker, very streamlined), and I swapped my usual ANUMC Dagger RPM for an Infra Red for the sharper edges. 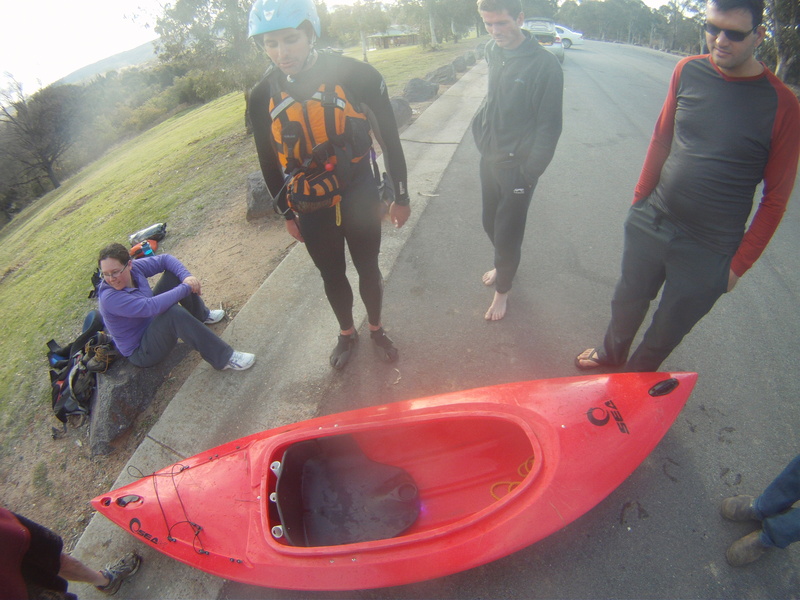 Prepared with paddling equipment and safety gear, we drove to the get-in at Tharwa Bridge and set off. It was a wonderfully moody day, with dark skies and a few spots of rain, which added some interest to the long stetches of flat water. A few of us practiced rolling before we finally arrived at a tiny Grade 1 rapid. Unfortunately it was here I discovered that my seemingly watertight sprayskirt (the cover for the kayak cockpit, which theoretically stops the boat from flooding whilst paddling) sieved water straight into my lap, so my ferry-gliding and surfing practice was limited. Onwards we paddled, portaging (carrying the kayaks around) one rapid that was chocked with willows. We had several experienced kayakers with us who scouted out the rapids and showed us the best lines to take, and soon even the more nervous paddlers were enjoying themselves. Interestingly, the only wet exits (when someone goes upside down and cannot roll up, and thus must just exit the kayak underwater) were at the bottom of successfully navigated rapids! 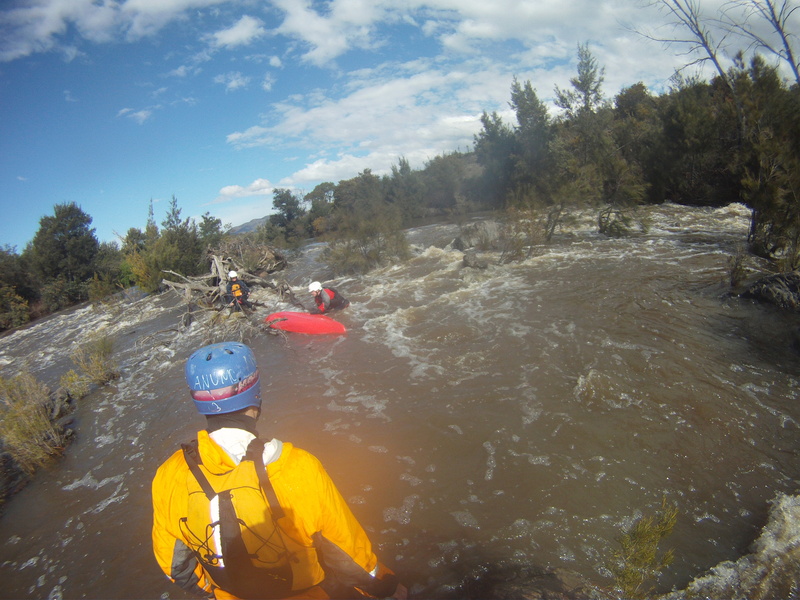 The backward flow of eddies and unseen obstacles caught people with their guard down, but for the most part the group paddled along without incident. We portaged the Point Hut bridge, and were nearly at the end when we spotted a kayak wrapped in one of the rapids. Pulling over we shifted the kayak from the rapid to check that it was empty of a body (which thankfully it was), but it sunk and was flushed downstream immediately, and wrapped itself awkwardly in the middle of the river. After a few attempts to free it again we paddled to the get-out at Pine Island. A few people wandered back up to use the kayak wrap-freeing skills learned the previous weekend whilst the rest of us managed the car shuffle and packed the kayaks onto the trailer. It turned out that it was a Seak kayak from Anaconda – a cheaper boat than ours, and bent somewhat from its trials. Still, it might be fun to paddle on the lake, so we loaded it up anyway. Amusingly, as we were strapping it to the roof racks of a car, the man in the vehicle next to us came over for a chat. Turned out that he’d recently acquired the same boat, and was reassured to see that we were using one too! We replied, as politely as possibly, that we personally would not have taken such a boat down the river, especially without a sprayskirk, at least one (and ideally three) other paddlers and a reliable roll (none of which this guy had). 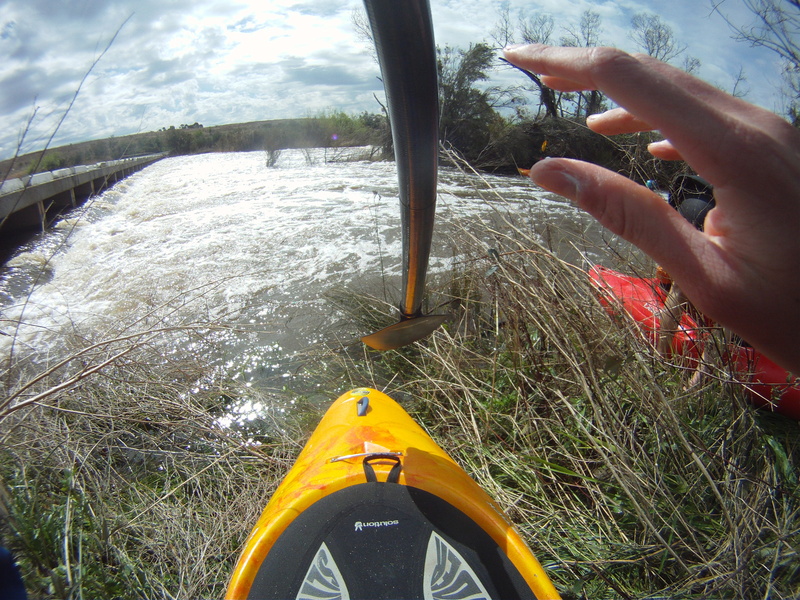 He took our advice and decided not to carry out his original intention: to paddle the next – Grade 3-4 – section of river. Apparently, not everyone takes white water kayaking safety courses. All photos in this post were taken with Nicholas Ward’s Go Pro. You can also check out his version of events. 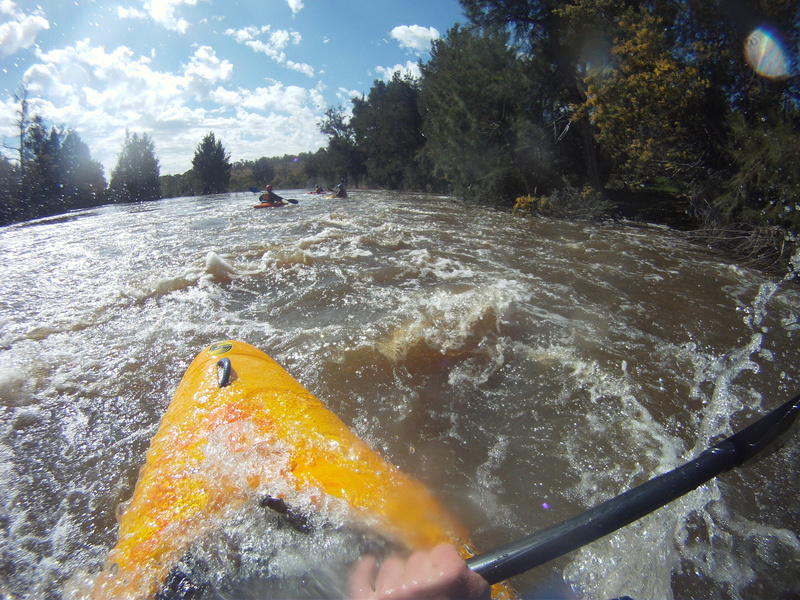 The more usual run is from Point Hut Crossing to Pine Island (~2.5kms), as this has most of the rapids and less of the flat water (Tharwa Bridge – Point Hut is about 10kms). Best water level for this section is above 2m, measured at Lobbs Hole, and at least 1.2m at Mt Macdonald. For anyone interested, there is an excellent series of YouTube videos produced by NRS about white water kayaking safety and rescue. Of course, this is supplementary to a safety course, not a replacement for one! *There is also this crazy kayak called a squirt boat that has so little volume that it spends half its time underwater… There are some amusing YouTube clips of them doing as such.